I've had this idea for a while of taking my skull drawings to another level, and in this case, I thought it would be fun to draw Tom the Cat from Tom & Jerry as a skull bomb! Hey, those guys are always getting into scrapes, right? 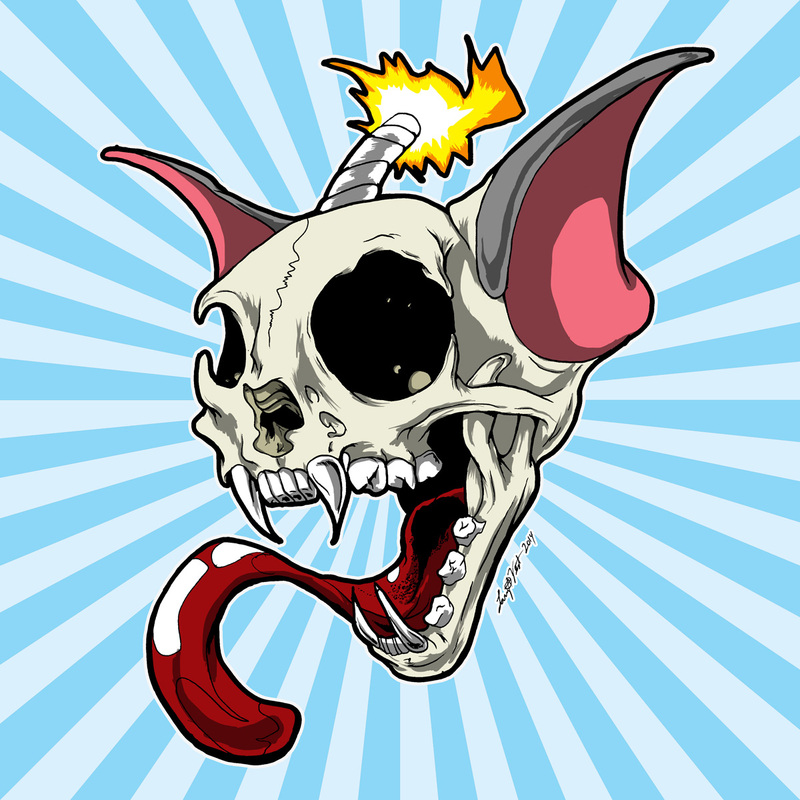 It was really fun taking my skull art and actually reducing the amount of detail I put in into a more cartoony style. This is also my first time really experimenting with my flat-shading style to try and get something different.